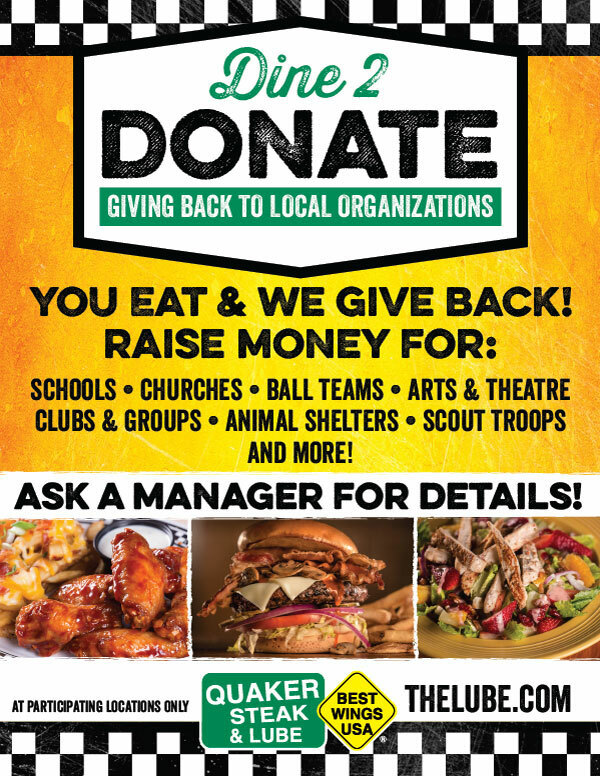 Dine To Donate At the Quaker Steak & Lube® Restaurant In Canton, OH! Helping You Raise Funds For Your Non-Profit! Quaker Steak & Lubes® provides a fun atmosphere for volunteers and helps you to have a great time fundraising for you club, sports team, charity, and/ or school. Ask for a manager to pick you fundraising day. Blast Out the custom flyer to ALL your supporters. Collect 10% donation of total food sales from flyers returned on you day!